Ashley Antionette is a New York Times Bestselling Author. She has co-authored along with her husband JaQuavis over 40 novels. She is best known for her four book saga, The Prada Plan. Ashley has written teen novels, erotica, and also several film scripts. Hip-Hop took notice of Ashley & JaQavis when Bryan "Birdman" Williams and Ronald "Slim" Williams of Cash Money Records signed them to an unprecedented book deal in 2010. In 2012, Ashley landed a book deal with Viacom to pen novellas based around VH1's most popular scripted series, Single Ladies. Ashley recently released her new novel, LUXE. It is a gripping novel that will have you fully engrossed. 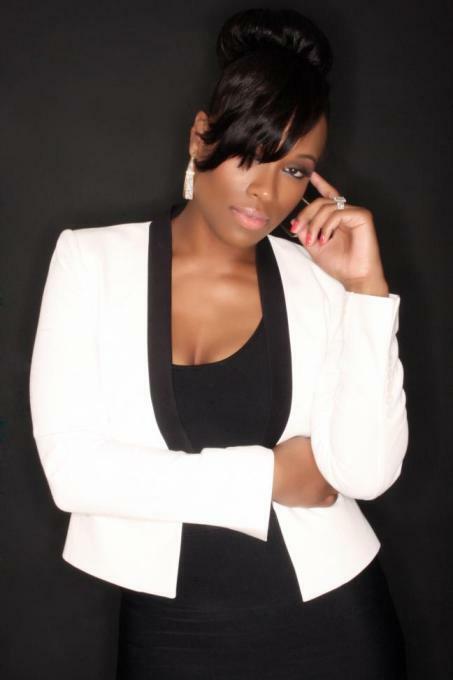 B2M presents our exclusive interview with Ashley Antionette. ASHLEY: I always knew that I was a good writer. Even early on in high school, I was the best writer in my class. However, I didn't dream of becoming an author. I thought my writing would take a more journalistic route. It wasn't until I was 17 did I try my hand at penning a novel. I had just experienced an ectopic pregnancy and JaQuavis challenged me to a writing contest. I started my journey as an author that day and I haven't looked back since. B2M: Please tell our readers about your new boo, LUXE. ASHLEY: Luxe is a story about a girl named Bleu. She's from a small city but she has big dreams. She wants to get away from the struggle of her upbringing. A violent past, drug addicted parents...she wants to escape it all so she goes to college in L.A. Its an entirely new world to her and she gets sucked into the glamour, the drugs, fast money, and a great new love. It all feels so good but it leads to destruction for her. The luxury lifestyle she desperately wants is one that she can't necessarily handle. ASHLEY: I used to be like Bleu. I come from Flint, MI. Its a small place where dreams rarely ever come true. I wanted more than what I was told I could have. I wanted to be more than the world expected out of a little black girl coming up in my circumstances. I had a dream like Bleu and I chased it until I caught it. I wanted to reflect the story of a young girl whose ambition led her to greatness. I've reached that. Bleu hasn't yet but her journey isn't over yet. I still have a second book to pen lol. B2M: What would you say is your formula for creating characters that readers can relate to? ASHLEY: I don't there is a formula that every author follows because the process for each writer is unique. I can say for me I write about what I know. I pride myself on authenticity. So I like the emotions to be raw, real, and potent. If I've never felt loss, I can't write about it accurately. If I've never experienced heartbreak how can I portray it? If I've never had my heart swell in triumph how can I make my readers feel it? For me, its all about staying true to who I am as a writer and letting my characters be the instrument that I use to get my readers to hear the rhythm of my narration. I don't want them to just skim through pages. I want them to experience each scene as if they are right there with the characters. Right there with Bleu, in the case of Luxe. ASHLEY: I'm a mother so I can't have a specific writing place lol. I have to be flexible. So I literally write everywhere. I've written in cafes and libraries, but also in play places or the local zoo. My office is the entire world lol. My smart phone allows me to pull out Microsoft Word whenever I feel inspired and because I'm a mom first, I write in some pretty crazy places. B2M: Among the books that you have written, do you have a favorite character? If so, which one and why? ASHLEY: My favorite character is actually from the series I co-wrote with my husband, JaQuavis. It's Miamor Holly, from The Cartel. She is the best character I've ever created, without question. B2M: Do you believe that creating writing is a gift, or is it learned? ASHLEY: Writing is definitely a gift. It's something you either have or you don't. You get better with every book completed of course. The more you do it, the more you perfect your craft, but I do believe that you have to have the gift to begin with. Its more than stringing words together, its an art. It's what separates best sellers from the rest. B2M: You have received much success over the years co-authoring books with your husband, JaQuavis Coleman. What do you enjoy most about working as a team? ASHLEY: I love writing as a team because I get to see the thought process of a genius. My husband is the best writer I know. The way he develops a plot is remarkable. I learn a lot from him and we challenge each other's skill when writing collaboratively so the end product is always our best. ASHLEY: Luxe 2 of course! B2M: Can we hope to see some of your work on the big screen in the near future? ASHLEY: Absolutely. That's a goal of mine. We have some things working in Hollywood but we are also producing independent films. The White House is our first project under our film company, OWL Films. It comes out October 8th. We are extremely proud of that. It's exciting. JaQuavis is making a directorial debut with that one, but we have many more in the works. We never stop working. B2M: How gratifying has it been to realize your dreams through your writing? ASHLEY: It is extremely gratifying. I am so grateful to have amazing fans. My Ashes support me with each book. They grow with me. I do this for them. Its very rewarding. B2M: What one thing would you like to change about the perception of Street Lit from those who question it's relevancy in literature? ASHLEY: I don't want to change anything about the perception of Street Fiction. I don't even acknowledge anyone who questions the validity of this genre. I don't have to defend things like that. My resume and my accolades defend the genre for me. New York Times, USA Today, Ebony Power 100...those things can't be contested. Anything else is just opinion and everyone has one of those. I'm just focused on creating quality literature for people who love a good story. The naysayers can have the argument. I'm all about spreading positive vibes. B2M: Ashley, thanks for interviewing with us. We encourage you to continue writing great stories with intriguing characters and interesting plots. Please keep Books2Mention informed about your future endeavours. To learn more about Ashley Antionette, please visit her website at www.AshleyJaQuavis.com.